Showing results by author "Cory Gregory"
Entrepreneur or Wantrepreneur is a book which evaluates your entrepreneurial skill-set to a level that will make most want to quit listening. 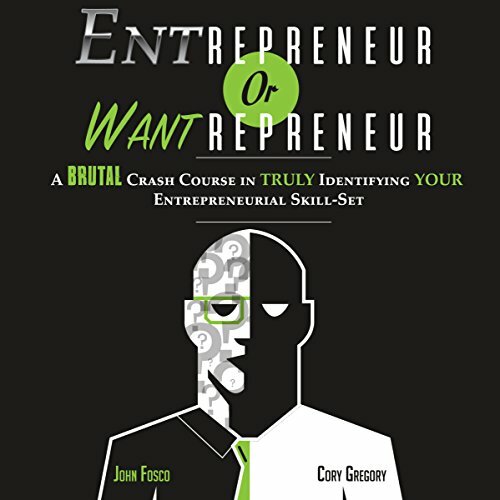 This book acts as an extreme crash course for the mind of both the entrepreneur and the wantrepreneur. Every ounce of the listener's mental fortitude is tested in an effort to provide self-identifying entrepreneurial strengths and weaknesses for all of those who embark on the entrepreneurial journey.